Haven’t we woken up early in the morning a number of times to witness the rising sun amidst the cool breeze of dawn? At a sandy beach? At the mountains? Or at the least, from the roof of our home? In Cameron Highlands, its done at the tea estates. 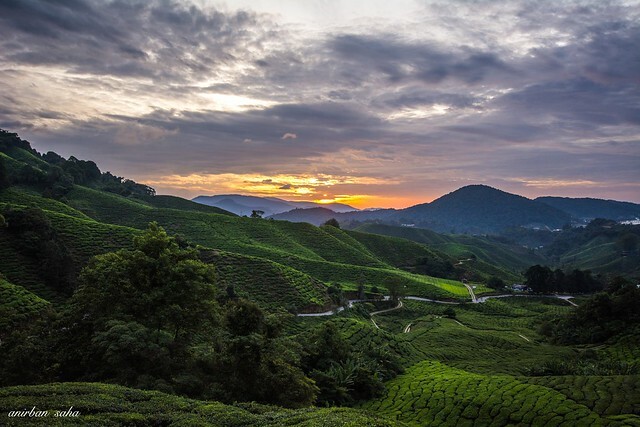 Located in the state of Pahang, Malaysia, Cameron Highlands is truly diverse, in terms of community, language and resources. 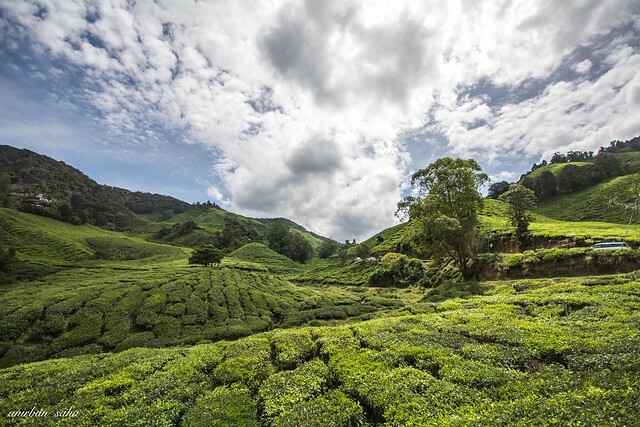 The natural resources include orchards, waterfalls, rivers, lakes and mossy forests to name a few, but the most prominent and well known are the extensive and beautiful tea estates. 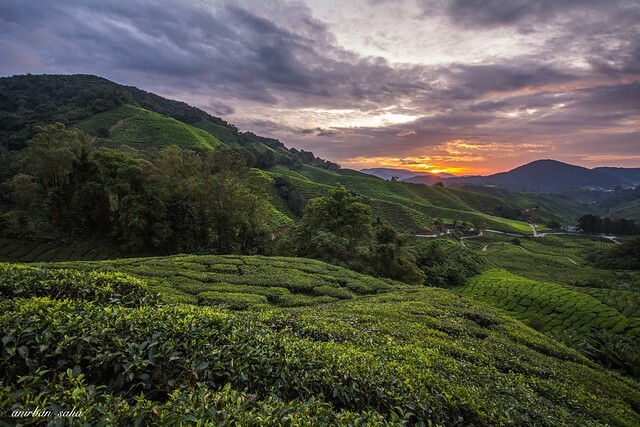 The Boh tea estate is the most well known location to capture the sunrise surrounded by tea plantations, as far as the eyes can see. People flock here in large numbers from before the first light so as to not miss a moment of the beautiful sunrise. Although on some days the clouds can keep the sky overcast, on most days they play an excellent role of beautifying the sky to add to the beauty of the sunrise. And finally, when the moment arrives, the game of colors begin. The spectacular view can leave you speechless and definitely bring a smile to your lips. 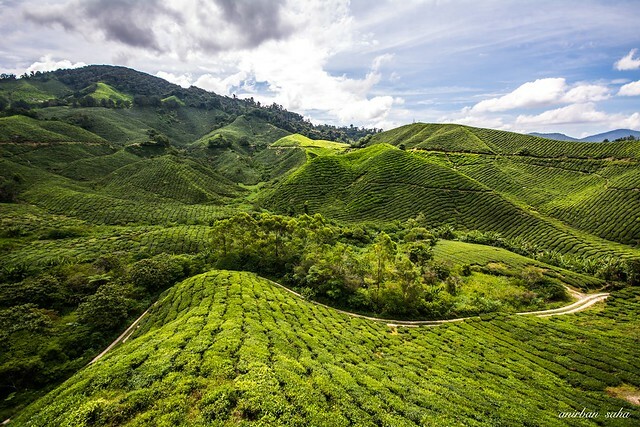 There are few other places to watch the tea plantations such as the Sungai Palas tea estate. It is one of the most visited sites by tourists and that is not without reason. The place provides a panoramic view of extensive tea plantations. It also allows you to buy some amazing tea with lot of choices in flavors. One can also grab a cup and enjoy the view with every sip. 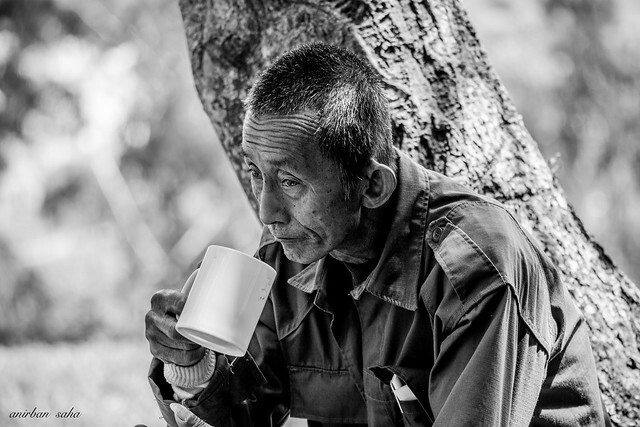 Enough of tea estates? There’s no need to worry. 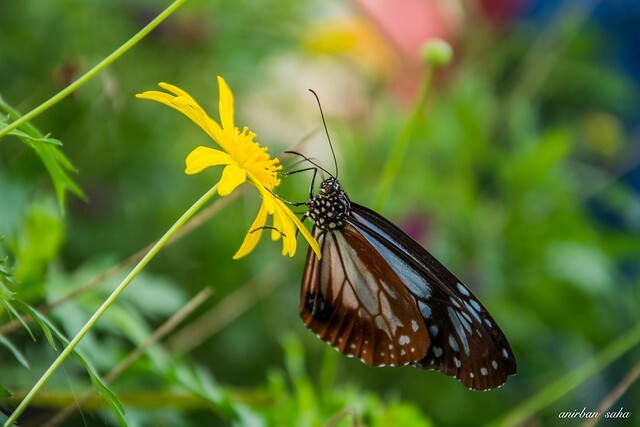 There is a beautiful butterfly garden to witness numerous butterflies of various colors and sizes. There is something for the spiritual too. 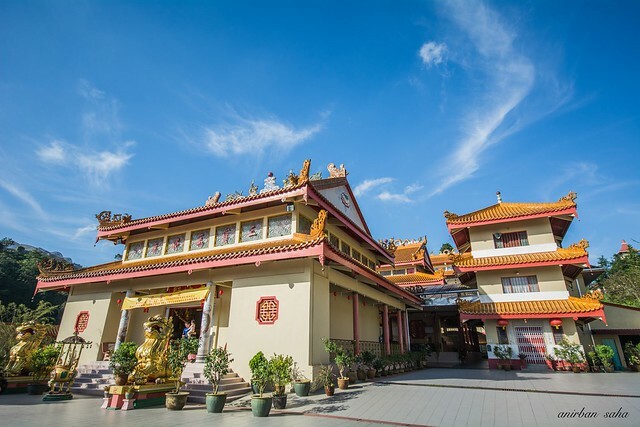 The Sam Poh Buddhist temple is a beautiful piece of architecture and has an amazing tranquil environment. 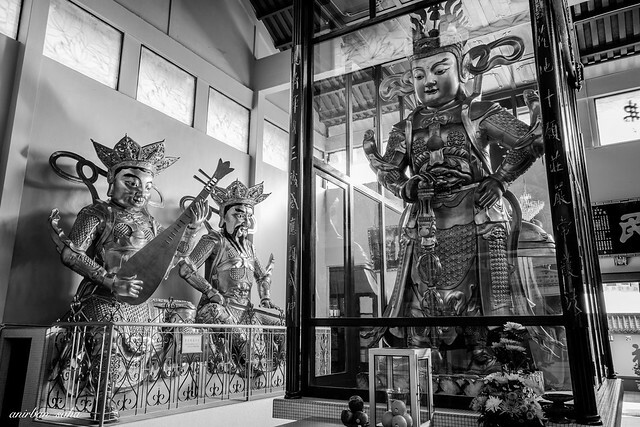 The temple has some wonderful sculptures and idols too. Its a must visit when in Cameron Highlands. 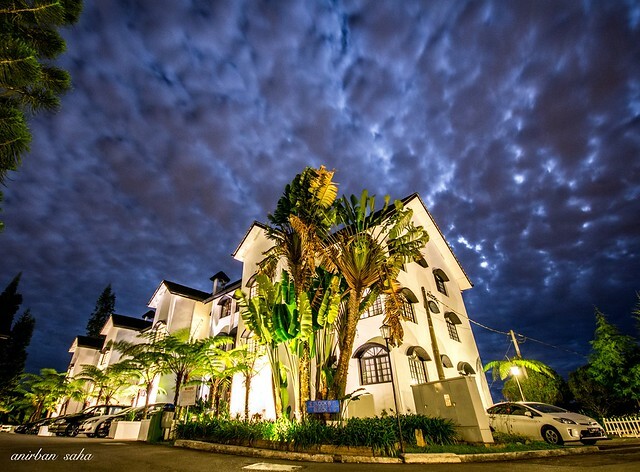 Although, not specific to Cameron Highlands, this beautiful art of the moonlight and the clouds is something which could not be missed. It was surreal. So next time you’re in Malaysia, take some time out and head to this small but amazing place called Cameron Highlands. This is super great! I wish I can like it twice! Oh wow, these photos are stunning!